In today’s environment, the need for churches to operate by the highest standards of financial integrity has never been greater. Ready to assess where your church stands? 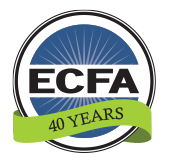 Use the ECFA checklist below as your guide in addressing 10 foundational areas that are key to operating with excellence and integrity. The 10 Ways to Have a Boring Management Comment Letter from your CPA Webinar with Vonna Laue, executive vice president at ECFA, discuss important financial management tools. Is your church financially healthy? How do you know? Christian organizations should consider these five factors when choosing a healthcare plan for their employees. The 7 Key Issues to Properly Handle Missions Finances Webinar co-branded by ECFA and Church Executive, featuring Dan Busby, ECFA president, Samantha Cave, McLean Bible Church global impact administrator, Pat Willow-Kulesza, Willow Creek Community Church director of international serving, and John Van Drunen, ECFA executive vice president, discusses how to clearly communicate missions needs to givers, understanding how to measure and fulfill the expectations of givers supporting missions, handling the administrative responsibilities related to missions finances and much more. Outlines proper accounting and documentation of ministry expenses for a nonprofit and church. Aim for Faithfulness Rather than Results! What are we aiming for? Or in plain terms, how do we define success? From our research, church leaders typically define success along one of two lines. Periodic commitments are appropriate from those who count church offerings concerning confidentiality and other issues. This is a sample commitment form. Sample Audit Committee Charter to revise and use. Tax rules make it very important for full reimbursement of business transportation, travel, and other business and professional expenses. How can our church avoid digital fraud? Unrestricted net assets subject to self-imposed limits by action of the governing board, e.g., future programs, investment, contingencies, purchases, or construction of fixed assets, or other uses. Can Teachers Qualify for Minister's Taxation? In the Internal Revenue Code, Congress has provided ministers with unique tax attributes. The Cash Reserves and Liquidity Webinar with Mark L. Jones, vice president and senior banking consultant for the Evangelical Christian Credit Union (ECCU), Jeremy Moser, chief financial officer for Mariners Church in Newport Beach, California, and Jon Roberts, Mission Hills Church in Littleton, Colorado, covers cash reserves and liquidity. One of many lessons churches have learned from the recession is the importance of liquidity—having cash reserves available when you need them. Without adequate liquidity, the pursuit of your church’s mission may be in jeopardy. Find out what constitutes liquidity and why it’s so important for every church. Learn about a process ECCU developed which your church can go through to set a liquidity target and determine “How much is enough”? Hear from two churches that have gone through the process of building adequate liquidity. Learn the struggles they experienced and the benefits which occurred as they set and achieved liquidity goals. For ministries, financial resources are limited. Determining how much cash reserves are needed can be difficult and often feels like a shot in the dark. This white paper outlines the necessary steps to determine the appropriate cash reserves and liquidity for your ministry. This document provides cell phone usage information for a ministry, including a summary of the tax rules relating to cell phone expense. Church Cash Reserves—How Much Is Enough? At least every few years, a church should review comparative compensation data for the senior pastor's position. For many churches, supporting missions is an important part of the work they are called to do. And for such churches, an important issue is the proper handling of funds expended from the mission budget. This document assists churches as they consider how to support missions. A charity may have an underlying sense that some contributions should be carefully reviewed before accepted. Could Your Church Use an Accountability Tune-Up? While solid financial accountability systems take extra effort, they are important tools. The Countdown to Retirement document will assist ministers in making timely decisions that ensure a comfortable retirement. It is amazing the level of risks that leaders in churches and parachurch organizations will take with people and resources in their congregations, their facilities, and in their broader “spheres of relationship.” Moreover, by leaders not identifying and addressing risks, they open themselves to situations that can compromise their own reputation and credibility. Churches—particularly larger ones—are candidates for vendor fraud. In this article, Jason Anderson, CFO of a large church accredited by ECFA, Living Word, Mesa, AZ, provides his excellent insights on how to evaluate how vendor fraud may happen in churches. One of the most important steps leaders can take to prevent fraud from occurring in their church is to embrace accountability and integrity and decide these are nonnegotiable values in the church. This means practicing what you preach and modeling biblical stewardship. 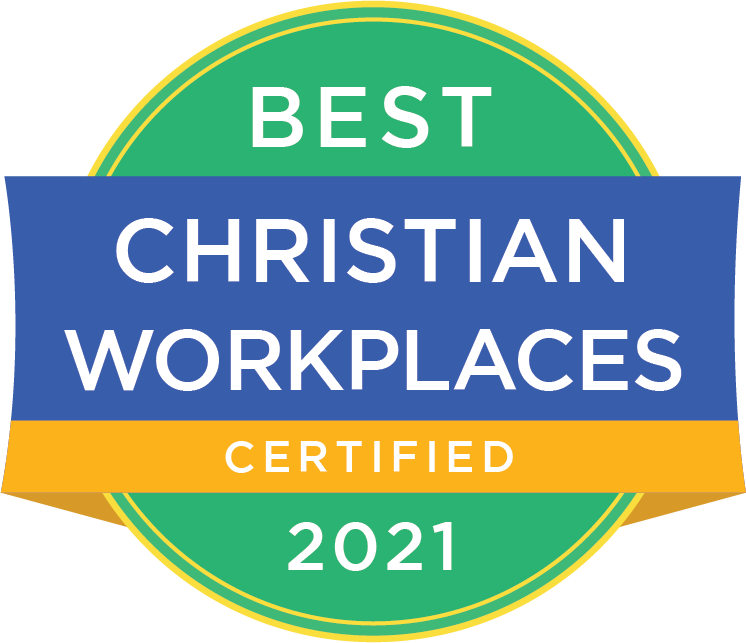 There are a number of employee compensation components churches can consider for pastors. Employer Mandate: Does It Apply To My Ministry? How do you know if your church or ministry is subject to the Employer Mandate under the Affordable Care Act? If so, what are the consequences? View this helpful resource prepared by GuideStone Financial Services for more information. Looking for a financial advisor, or just looking for where to start? Check out these resources from our friends at Ron Blue Institute. With dozens of Church Management Software (ChMS) options available, finding the best solution for your ministry can be daunting. Ministry Business Services, Inc. has researched 39 of the top Church Management Software programs and offers a comprehensive and unbiased compilation of what each platform offers, as well as general information on what to look for in choosing a management solution for your church or organization. Discusses four challenges churches face. We hear about church fraud in the news, but we don’t want to consider it as a possibility in our congregation. While this short summary is not meant to be all-inclusive, it will help you assess your current situation and determine if additional precautions or considerations may be necessary to protect your church. Churches often make gifts to employees to show appreciation for the dedicated service. These payments may take several forms and have important implications to the church, the staff members, and donors. Take a walk through your financial statements and see if any of the most common financial statement mistakes apply to your organization. Ministries are more vulnerable to financial loss if they have not implemented a system of internal controls. Policies and procedures, checks and balances, and accurate financial records should all be part of a comprehensive program that ensures financial assets are properly used and protected. How Is Your Church Leveraging Its Compensation Dollars? Many churches have not leveraged compensation dollars for their staff to the fullest extent possible. Why? It is work, but it is worth it! How many months of cash should our church have in reserve? How many months of cash should our church have in reserve? Are there different categories of reserves we should consider? When communicating healthcare plan enrollment information to employees, consider these strategies to engage and educate your team in a clear and effective way. If we've learned anything over the last three recessionary years, it's that as the economy changes, we need to change with it if our ministries are going to thrive. Church bookstores can be wonderful resources for attendees as well as the church. Investment policies for nonprofits are board-created to determine and direct how funds are to be invested. Is Now the Time to Refinance Your Ministry's Loan? In this every-changing economy, ministry leaders frequently face the question: "Is now a good time to refinance?" That may seem like a strange question coming from someone committed to faithful administration of Kingdom resources. Is Your Organization Ready for the General Data Protection Regulation? The General Data Protection Regulation, or GDPR, went into effect on May 25, 2018 and many nonprofit organizations don’t realize they could be impacted. The GDPR is a set of laws enacted by the European Union (EU) to protect individual rights to privacy and control over personal data. When an employer provides meals and housing for employees, it is important to determine whether the value of the meals and lodging is taxable to the employees. One of the many responsibilities church boards face is that of minimizing income taxes for their church employees by appropriately structuring their compensation packages. This Webinar-On-Demand will focus on the Nonprofit Expense Reporting is “Voodoo” and What You Can Do About It with Michael Batts, Managing Partner of Batts Morrison Wales & Lee. Popular wisdom says that nonprofits with lower overhead expense ratios are better than those with higher ratios. And that particular piece of popular wisdom is hogwash. Who cares about overhead expense ratios and why? What are the GAAP requirements for functional expense classification? What are some practical observations about applying the GAAP rules? What limitations does a ministry have when applying an overhead assessment on restricted gifts? A gift restricted in perpetuity by the donor. The part of net assets for a nonprofit organization that is restricted in perpetuity by donor-imposed stipulations. Vehicles provided by churches to employees for business use are often used for personal purposes. Vehicles provided by organizations to employees for business use are often used for personal purposes. We all have our share of the unexpected. Taking the time, energy, and finances to prepare for natural or man-caused disasters is an investment. Preparing for the unexpected is the process of integrating readiness into all elements of ministry. This white paper presents ten reasons to consider an existing building, with financing implications for each reason. These are the simultaneous increases in one net asset class and decreases in another. The Reducing Fraud in the Church Webinar with Vonna Laue, CPA and ECFA exective vice president, and John Van Drunen, ECFA vice president and legal counsel, discusses steps you can take to keep your church from being the next headlines discussing fraud in the church. Many growing churches rent their facilities and expect to do so in the future. Others have made the decision to purchase. Neither way is necessarily the better way. Whether to rent or buy is based on each church’s specific situation and, more importantly, on prayerful petition. Any error in the financial statements of a prior period discovered subsequent to their issuance should be reported as a prior-period adjustment by restating the prior-period financial statements. Resources whose use is restricted by an outside agency or person. A donor stipulation that limits the time or purpose of a gift’s use. Lists different duties that should be segregated for cash, revenue, and expense internal controls. This article by Michael Martin, ECFA Vice President, was written for Regent Law Review. The Internal Revenue Service (IRS) establishes the optional standard mileage rates for employees to use in computing the deductible costs of operating an automobile for business, medical, or moving expense purposes. Good accounting records and good stewardship go hand-in-hand. Your church is the trustee of the money it receives—handle it carefully. An annual audit of a church—either external or internal—is vital. There are several reasons why a church may perform an internal audit. Travel and expense reimbursement policy for a church. A fund in which the principal amount (corpus) has fallen below the value of when originally gifted by the donor. Under UMIFA, an organization was pro­hibited from using fund assets if the value of the fund was below its historic dollar value. Resources that have no external restriction on use or purpose. As your church grows and weekly income rises, failure to manage funds wisely can cost your church money that could and should be invested in ministry. You can reduce this risk by taking five key concepts to your banker or prospective financial services provider. When is it Appropriate to Make an Overhead Charge to a Church Project? When a church raises funds for a project—let’s say a building fund or a campus expansion fund—is it appropriate to make an overhead charge to the project? In other words, is it appropriate for a church to allocate a portion of the funds raised for the project to cover general and administrative costs and any costs related to raising the resources with the total raised less the overhead allocation used for the project? Mention the word "audit," and you will get several reactions. (Seldom is it met with overexuberance!) However, having an independent source involved in the church's accounting systems and processes as well as the financial reporting has many benefits. Oftentimes, I meet church leaders who are fearful of making their financial activity accountable and transparent, and many times, control of the church’s finances is limited to one or two individuals. In a best-case scenario, this is simply an honest but naïve mind-set, believing that finances are better controlled when fewer people are involved. In a worst-case scenario, this is a deliberate attempt to conceal poor stewardship or abuse. It’s the worst-case scenario that will ruin a leader’s ministry, destroy a church, and shatter people’s faith. Work-related injuries or illnesses among church employees are not as rare as some think. Workers’ Compensation laws are designed so that benefits for a work-related accident, injury, or illness can be paid promptly without the need for expensive legal fees to determine fault. Unless specifically exempted by law, church employers are subject to Workers’ Compensation laws. You’ve been asked to fill the role of treasurer at your church, and you have questions. Knowing how to manage your church’s finances and communicate to leadership, staff, and congregants is critical to effectively serving as church treasurer.